The music business is in transition now. The old model for record labels is changing and it is changing fast. As a result, a lot of the old school record labels are going out of business because they don’t know how to keep up with the changing times. Have a look at the Wikipedia to observe this development. What do you do, when your label is going under and you have to struggle to get your masters back? The best way to protect your music work is register your songs with the library of congress. You should also submit your work to the performing rights organization (ASCAP, BMI, SESAC, GEMA) with whom you are affiliated. But what do you do, when your label want to have the copyrights of your music, although you are the owner? You have paid money to your label for promotion of all kind and your label uses the money to pay the own debts instead of doing their work? To avoid these issues it’s a good idea to make your own record label. Dave Koz, Rick Braun, Richard Elliot, Dave Gruisin, Chris Standring, Herb Alpert, Russ Freeman and many more had that idea. But most of them sold their label later to the music industry, because you cannot share your spare time leading your own label with your work as musician. What did happen with GRP, Peak Records and more of these labels founded by artists? They merged with greater labels loosing their identity. Another possibility is to join social networks like Facebook, MySpace, Plaxo to find and collect your fans there. Another idea is to make a street team. A street team is a family of devoted fans who want to support and see their favorite artist or band succeed. Traditionally, they have hit the streets handing out promotional goods as well as using their own creative ideas to increase the awareness of the band. Some artists like Chris Standring started a special street team program. The idea for that program was described by him in a book especially written for artists. 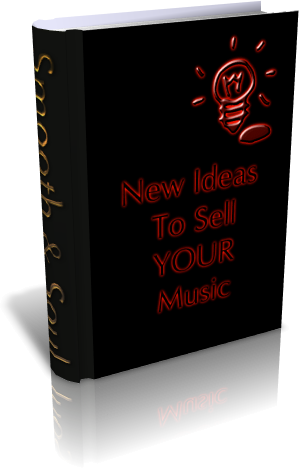 Do you have a new idea to sell your music? Share it with us.